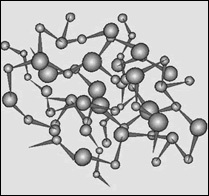 Ajanta Polymers specializes in the manufacturing of Azodicarbonamide (Blowing Agent) that is used extensively as a foaming agent for Rubber, Plastics and Leather Cloth Industries. The company continues the tradition of excellence focusing on high quality and serving the widest segment of industry with various grades of Azodicarbonamide. We have state of the art automated and computer controlled equipments to manufacture Azodicarbonamide of high purity in various grades. We have qualified and trained personnel checking each state of manufacturing process. Input materials are screened for quality in our in-house lab. Accepted material is put into production process with monitoring and sample test at each stage. Final product is also sampled and tested in particle size analyzer to ensure quality satisfaction and there after test certificate is made out. We follow internationally accepted practices and production processes in our plant to assure highest quality product for our clients. We are producing Azodicarbonamide (Blowing Agent) 5000 MT per year and further planning for expansion. We are also exporting Azodicarbonamide to various countries in Middle East, South East Asia, Europe, Russia, USA and neighbouring countries.